This beautiful and easy-to-reach facility provides convenient access to residents of the Farmington Valley, Litchfield County and surrounding regions. The center provides radiation oncology, medical oncology, gynecologic oncology, surgical oncology and other cancer-related specialties. In addition, nutritional and social service counseling, as well as access to cancer resources such as on-line services and educational materials are available. The Center also houses an educational/conference space that can be used for cancer support groups and other community functions. You can register online for any of the following programs - just click on the program name. You can also call Hartford Hospital's Health Referral Service line at 860.545.1888 or email us at hrs@hhchealth.org. Oncology Associates, PC, is a medical oncology practice in the center that offers infusion services, chemotherapy and medical oncology care. It is staffed by board certified physicians, Oncology Certified nurses, certified medical assistants, phlebotomists, and administrative personnel. For a list of physicians at these locations and their phone numbers, visit our Find a Physician Service, or contact Hartford Hospital's Health Referral Service line at 860.545.1888 or email us at hrs@hhchealth.org. The Avon location of the Hartford HealthCare Cancer Institute at Hartford Hospital provides state-of-the-art Radiation Oncology services for nearly all situations requiring external beam radiation therapy. The Center has a Varian Clinac iX linear accelerator. This machine produces photons at two energies as well as supplying a full range of electron energies and intensity modulated radiation therapy (IMRT). For the less common situations where brachytherapy or stereotactic radiation therapy services are required, they are available at our Hartford location. 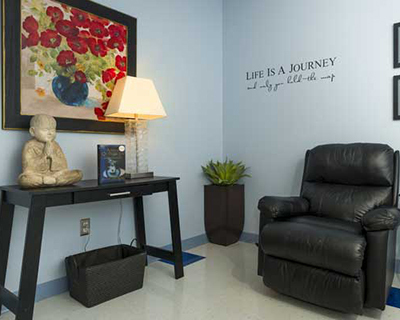 An added bonus to the Avon center is that patients can walk down the hall from radiation or chemotherapy treatments to Hartford Hospital’s Integrative Medicine Department, which has its main outpatient treatment site in Avon. Integrative medicine focuses on reducing reduce pain and stress; helping patients manage anxiety and insomnia; and supporting the immune system, which is the body’s own defense against disease. All integrative medicine physicians are board-certified and practice evidence-based medicine. With input from their physicians and treatment team, patients receive comprehensive, individualized care plans that could include massage, acupuncture, yoga, and other services and classes. For a list of physicians at these locations and their phone numbers, visit our Find a Doctor Service, or contact Hartford Hospital's Health Referral Service line at 860.545.1888 or email us at hrs@hhchealth.org.